Sound damping materials can be surprisingly pricey and are poorly understood in how they work. After reading about various products, we chose to go with Peel and Seal because it is relatively cheap and many people like using it in their vehicles. Below we will discuss how sound damping works and some of the material options available that you may want to consider adding to your car. We’ll give you some product suggestions, delve into the physics of what is happening when you are dissipating sound and the best technique for achieving this in a vehicle, and explain how you could improve upon what we did. If you just want to know how to install sound damping, checkout our “Sound Damping” page. Just want our top suggestions and material specs for products being sold as sound dampeners? Well look no further. Below, we have products ranked, with #1 being the best. 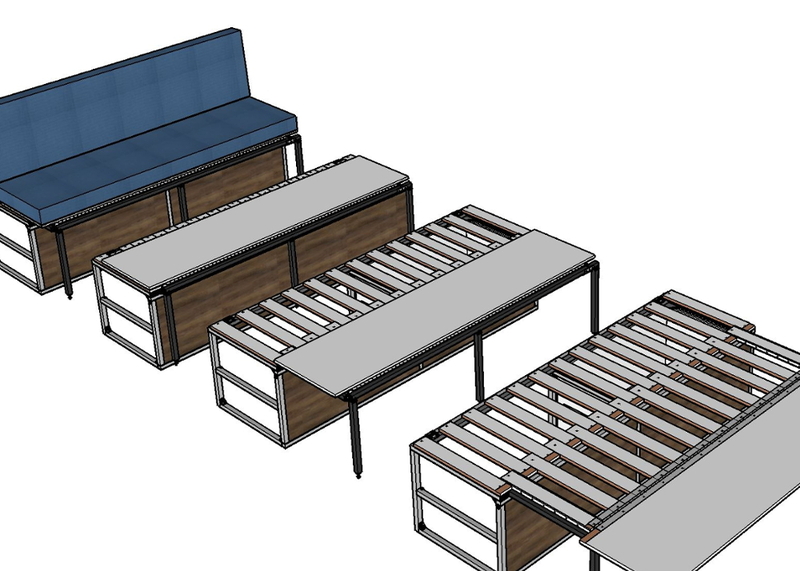 We simplified the products to our top five choices, so if you want to see what else is out there, scroll down to the materials section. If you want to learn more about what a CLD is or why the thicknesses of different layers within a CLD matter, be sure to read the rest of the page! Brand SDS Second Skin Dynamat FatMat MFM Build. Prod. Corp.
As you can see, the top three choices are butyl-based viscoelatic materials, while the last two are rubberized asphalt-based. We chose Peel and Seal, which is, technically, a roofing material that consists of rubberized asphalt, but is commonly used for sound deadening in personal vehicles and trucks, and is very affordable. Having a set budget for our conversion and reading many articles on sound damping materials, we chose to skimp, price-wise, and go with the more affordable option. As you can see in the graph and excel file above, there are less rubberized asphalt-based products being used in vehicles than butyl-based products and, the ones being sold, only have a 45 mil thickness. These products perform worse, but still help reduce noise, and are cheaper. In terms of the product liquifying, Peel and Seal’s spec sheet does not provide a temperature range that the product should stay within. All it says is that the product should be installed at a temperature above 55°F. However, the company B-Quiet sells a product called “Extreme”, which is a rubberized asphalt-based product, and they provide a temperature range for their product (-67°F to +230°F). Although a car gets a lot hotter than a roof, due to the greenhouse effect, it is unlikely for the internal temperature of a car to exceed 200°F. Assuming that Peel and Seal has a similar temperature range to Extreme, it is unlikely that the product will liquify. 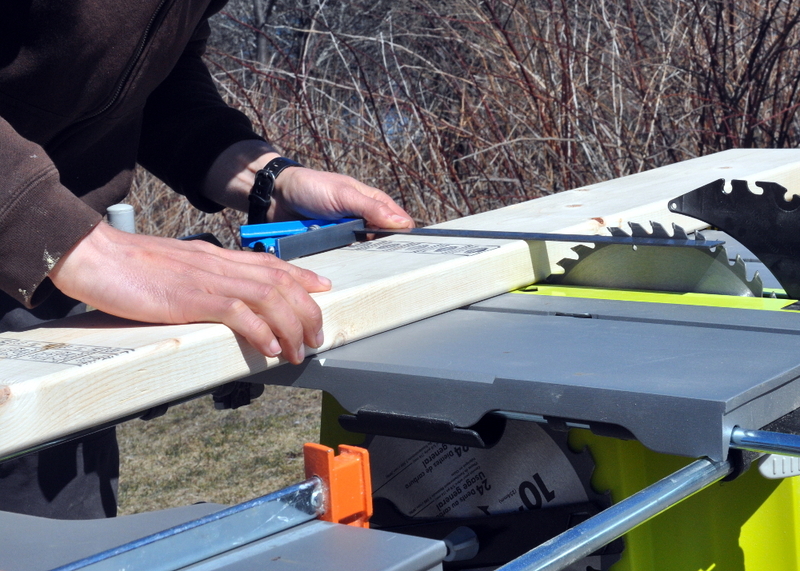 Overall, Peel and Seal isn’t the best choice for everyone, but will work for those that are on a tight budget. So, you want to decrease the noise in your vehicle while driving down the road? Or, get improved sound quality from your car’s sound system? Well first let’s discuss sound, including what it is and how it can be dampened. Sound is a form of vibrational energy that propagates through a fluid (ex. solid, liquid, or gas) as a wave, with vibrations being the key component. Noise is, simply, undesirable sound, either because it is loud, unpleasant, or impedes one’s ability to hear properly. Within the auto world, reducing noise is beneficial to those that want a quieter drive or improved sound quality from their stereo system. In the case of RVs, campervans, cargo vans, old muscle cars, or trucks reducing noise while driving is commonly sought after. Lucky for you, many industries have investigated the topic of how to reduce vibrations, with the aerospace industry having done the most thoroughly documented research! Distance – Increasing the distance between the source and the receiver. As sound waves disperse, their energy density decreases. Reflection – Reflecting sound can change the direction the sound wave is traveling and will be different based on the material it hits. Diffusion – Diffusing sound will scatter the energy in multiple directions, decreasing the concentration of sound in any direction. Theoretically, if a vibration is fully diffused before a sound is formed, you will not hear anything. In the case of a vehicle, diffusion affects any sounds coming from the vibration of the vehicle’s body. Absorption – Converting sound energy into heat using materials that are porous absorbers or resonant absorbers. Absorption is, generally, dissipating airborne sound. All of these methods have some level of overlap. Of course, increasing the distance isn’t really an option for a vehicle. Reflection may have minor improvements in reducing noise. 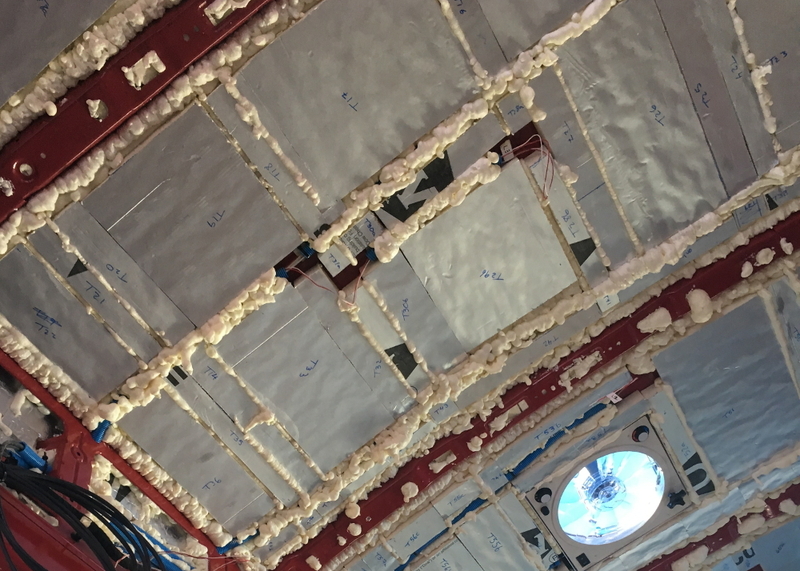 But, because energy can only be transformed from one type of energy to another, you will see the largest improvement in noise reduction when you convert sound energy into an un-audible form. Both the diffusion and absorption of sound commonly convert sound energy to thermal energy. 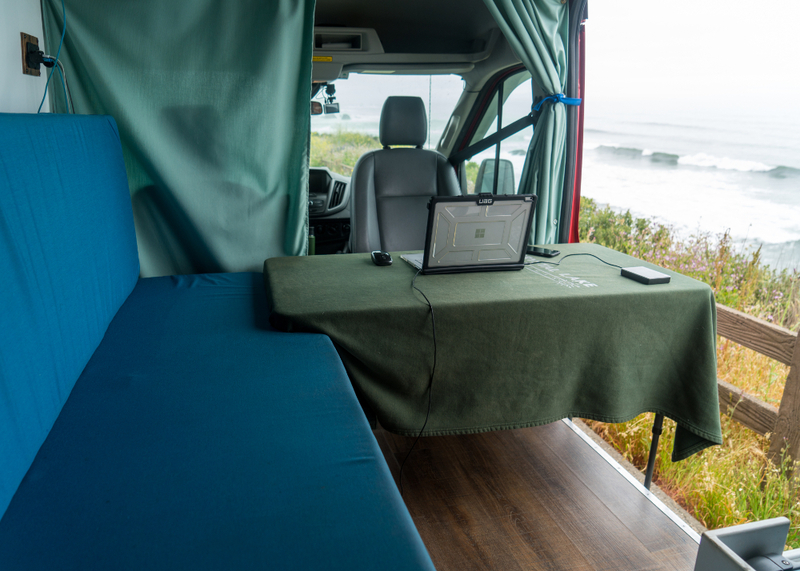 Because the loudest sounds in a van are coming from the body of the vehicle, it makes sense to target the reduction of sound through diffusion. To understand the transformation of sound energy to thermal energy and, thus, how the diffusion of sound works, it is important to understand the physical mechanism of damping. When a sound wave’s amplitude of oscillation decreases with time, either due to friction or other form of resistance, the wave is said to be damped. In the case of sound diffusion in a vehicle, this vibrational energy is being dissipated as heat. So, let’s go back to discussing why a van is noisy and discuss what can be done to reduce this noise. Metals are poor damping materials, resulting in their vibrations having high amplitudes. With a cargo van’s cargo area consisting of all metal, this makes for a loud ride. Structural damping is the preferred method for reducing this noise. Structural damping uses viscoelastic materials to store strain energy when deformed and dissipate some of this energy through hysteresis. Thus, structural damping dissipates vibrational energy before it is radiated as noise. Constrained layer damping (CLD) is the most commonly used method for damping sound in vehicles. This is because CLD materials are readily available, affordable, can be to be relatively thin and lightweight, and have a high loss factor. 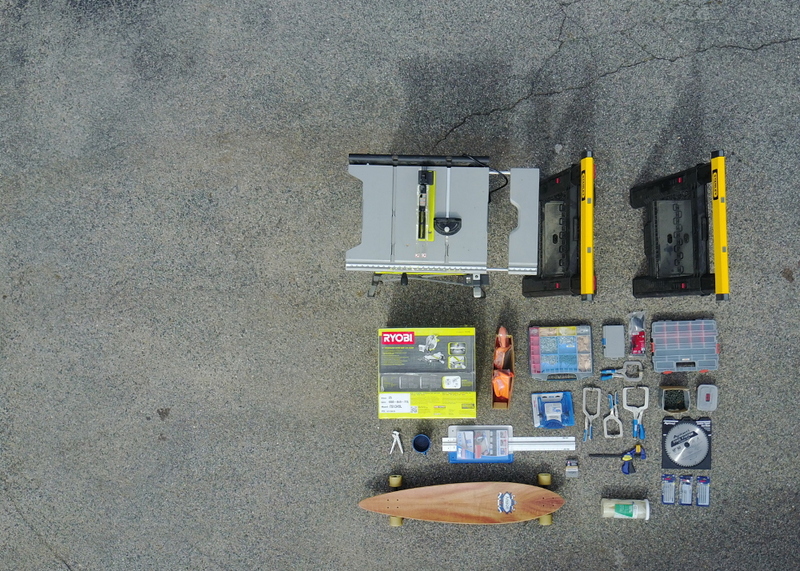 The size and weight are important because you have a limited amount of space and payload in a vehicle. Additionally, they can be used in harsh environments because the damping layer is protected by the constraining layer. So, what is a CLD and how does it work? A CLD is a layered matrix consisting of a host structure (ex. the body of the van), viscoelastic layer (ex. butyl rubber), and constraining layer (usually aluminum). The constraining layer does not elongate, constraining the viscoelastic layer. The viscoelastic layer converts vibrational energy in the rigid layers to a small amount of heat, thus reducing noise. What is a viscoelastic material? A material that exhibits both viscous and elastic material properties, with time dependent strain. The visco- prefix means parts of the material’s polymer chain move/rearrange when a stress is applied, known as creep. The elastic- suffix means the material fully recovers. As the polymer chains rearrange, they remain a solid, forming a back stress that builds until the magnitude becomes equal to the applied stress. 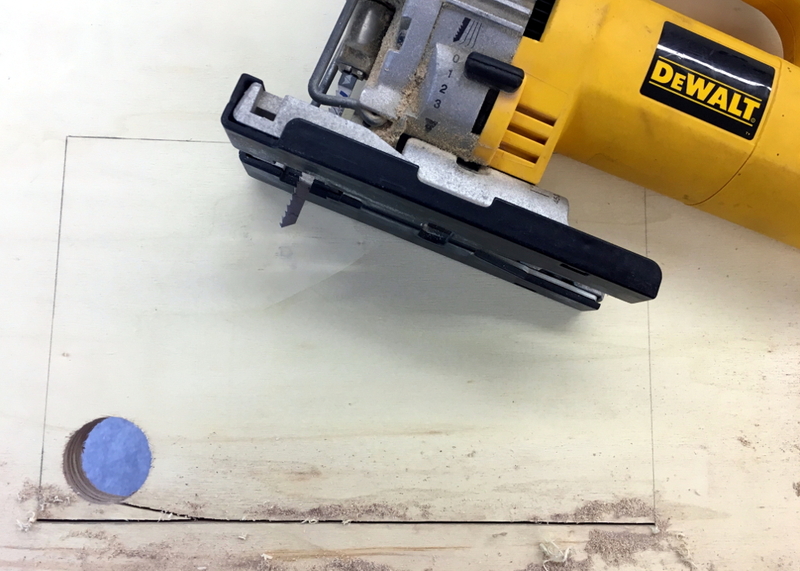 At this point, the material stops creeping and, when the applied stress is removed, the accumulated back stresses allow the material to return to its original shape. During this process, sound is dissipated as heat. Some factors that can affect the dB of the peak noise reduction of your CLD material include temperature and damping layer thickness. As the damping layer thickness increases peak noise reduction decreases and the temperature this peak occurs at decreases. Even more effective than increasing the damping layer thickness is increasing the constraining layer thickness. With 100% coverage equating to ~27dB. 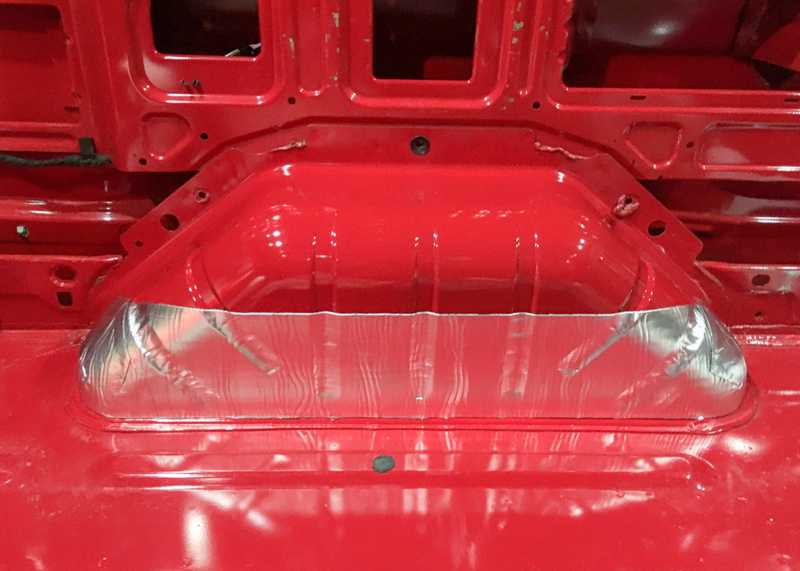 There are a lot of CLD products out there that can be used for sound damping in a car. In fact, there are an overwhelming number. Some factors that you’ll want to consider before selecting one are the base structures dynamic properties, the viscoelastic material being used in the CLD product, the thicknesses of the constraining layer and viscoelastic layer in the CLD product, the temperature the product is going to be used in, and, most importantly, the cost (the weight shouldn’t very too much from one product to the next). 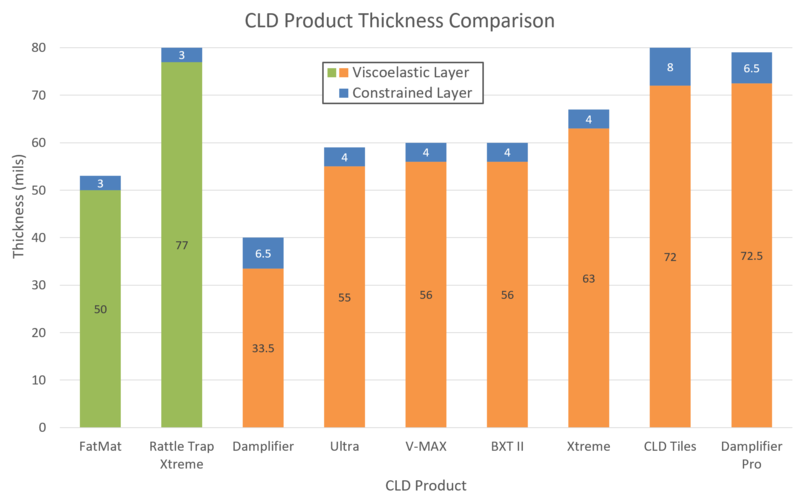 All of the CLD products being sold for cars are either butyl-based or rubberized asphalt-based viscoelastic materials. Rubberized asphalt, generally, does not dampen as well as butyl, but is significantly cheaper. 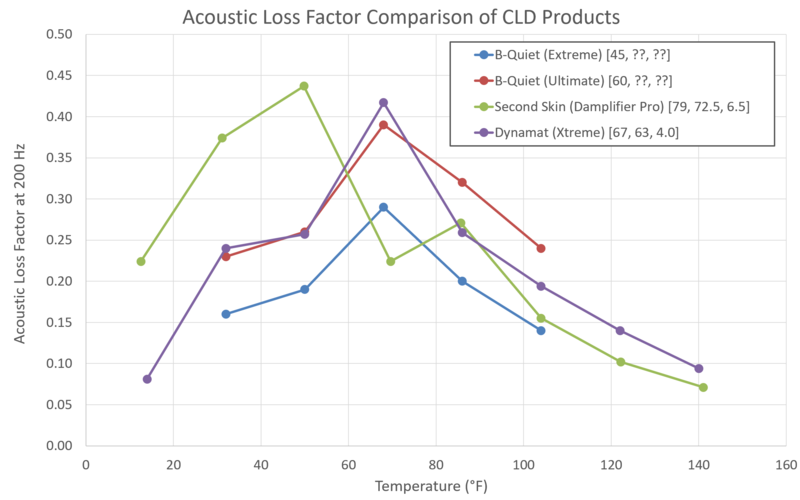 Of the products being sold on the market, only a few provide acoustic loss factor data. 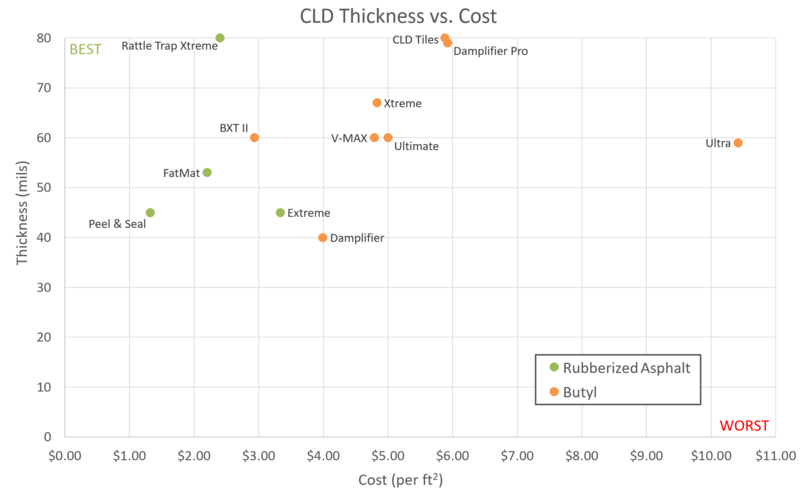 So, using the specs provided, the best way of evaluating CLD products is thickness (overall, viscoelastic layer, and constrained layer). 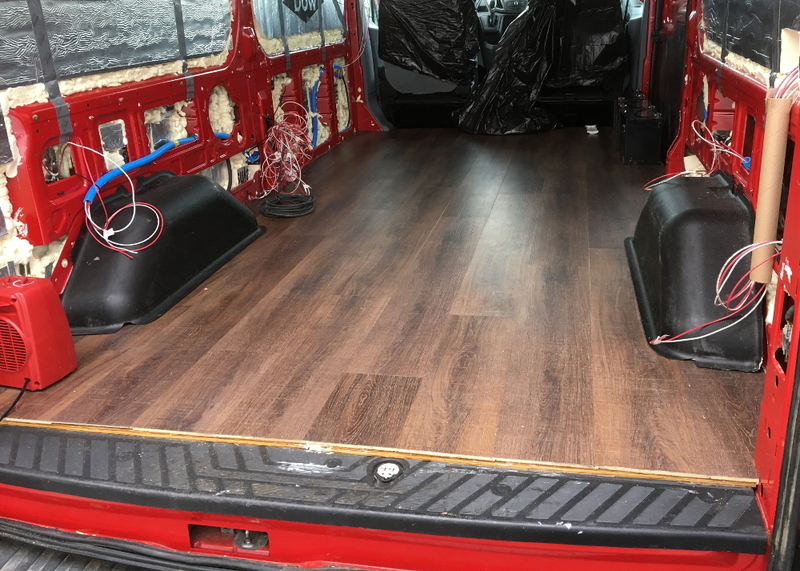 As an alternative to what we did, we would consider covering ~35% of the body of our van, using FatMat Rattle Trap Xtreme, evenly distributing the material across all walls, ceiling, and floor. This product, . After having sound dampened the wheel wells, our van is still louder than a regular car (being the most noticeable when trying to listen to music on the highway). While this isn’t a problem for us, it may be for some. If you are only planning to cover the wheel wells, we would choose B-Quiet’s Extreme, as a rubberized asphalt-based product, over Peel and Seal next time. B-Quiet Extreme is actually marketed as a product to use in cars and provide the most data on product performance. Additionally, it is still a relatively cheap sound dampener. In terms of thickness, FatMat’s products appear better than B-Quiet, but it is hard to say which would perform better because of the limited information FatMat provides for their products. In terms of butyl-based products, we would choose Second Skin Damplifier Pro. This is one of the more expensive sound deadeners, but given the small surface area you are covering, it is still fairly cheap.